But I recently tried on the Rado True Thinline automatic while picking up another watch and I was surprised. The True Thinline is a very slim watch, at only 7.8 mm high, available in white or black ceramic with a matching rubber strap. It’s a simple watch and the movement inside is some ETA but it just works. And the fact that the True Thinline is priced reasonably with a retail of about US$2000 helps. 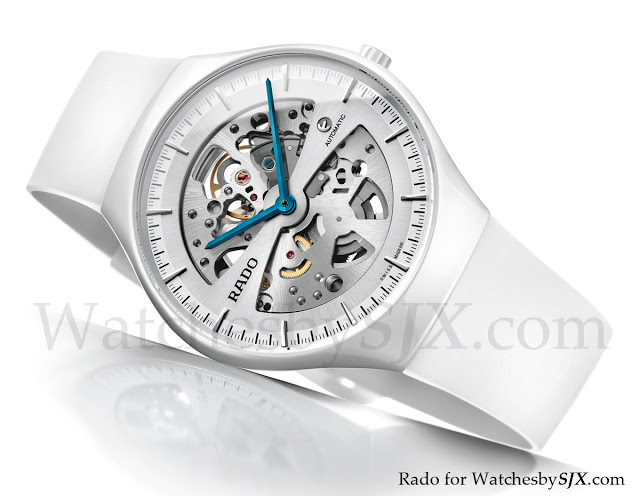 And now Rado has just announced a True Thinline skeleton in white ceramic, to be lauched at Baselworld 2012. I’m looking forward to seeing this.